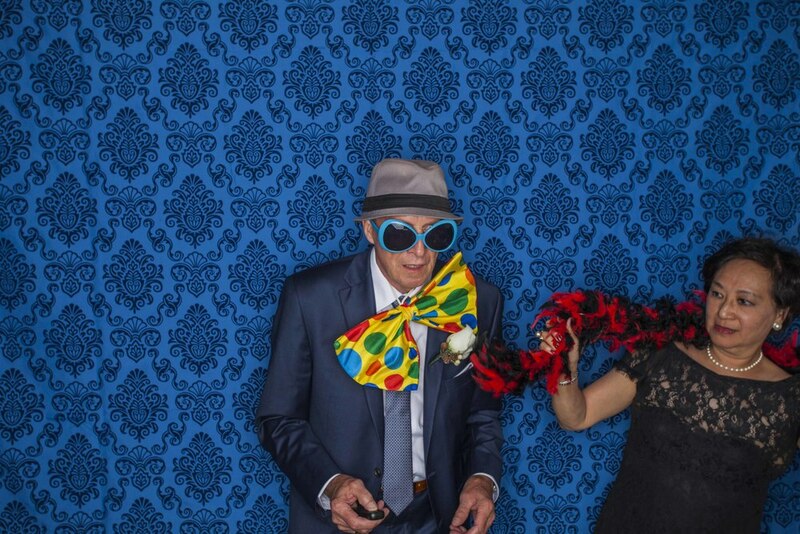 We offer a digital photo booth for our wedding couples, events, birthday parties and family reunions. Once we set it up, it is self-running and with it's open structure, all the guests can participate in the fun. We buy a variety of new props for each event, but are happy to go prop-less if you want more of a timeless, classy feel. We have a patterned blue and grey option for a backdrop or can offer a solid colour choice. 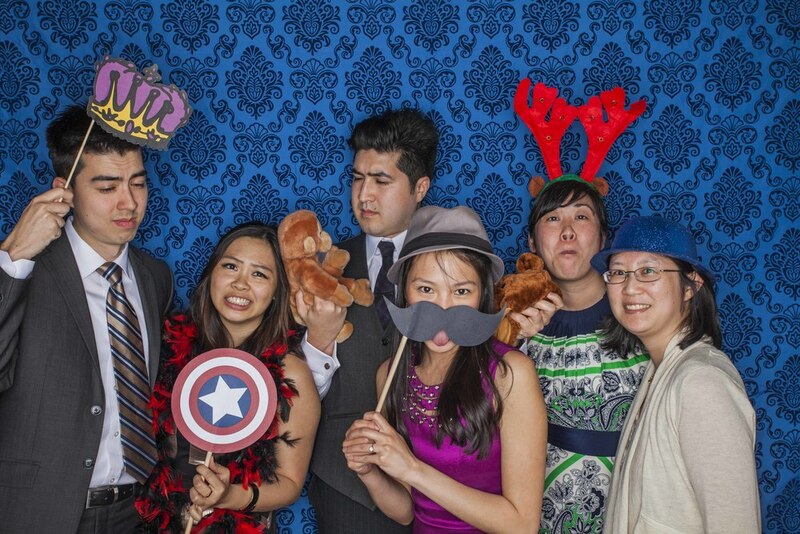 The photo booth is the most popular add-on to our wedding packages. 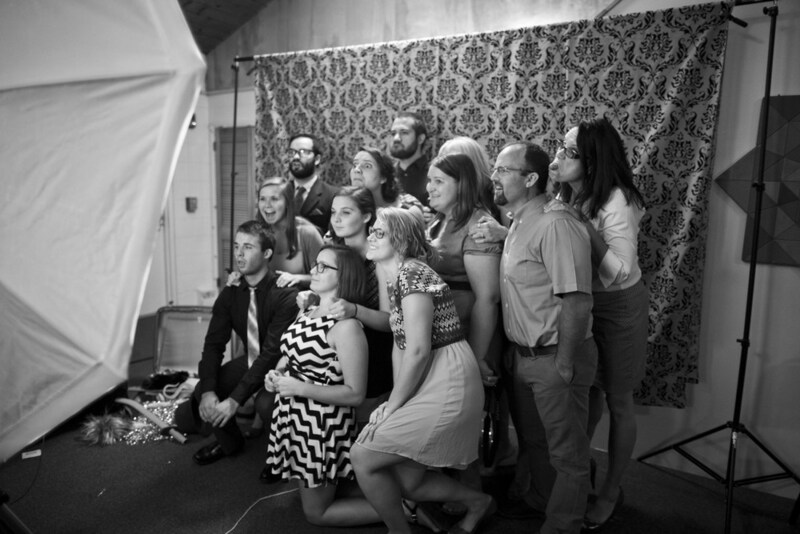 For our couples on your big day-what an easy and hilarious way to get photos of all your guests. It's basically a built-in entertainment option for the masses. Message us now to see if this is still available for your big date.